We help our members get connected with customers in their city, and cities they serve. Consumers trust Flower Shop Network to connect them to real local florists. With a listing in your resident city and other delivery areas, consumers can find you with confidence. 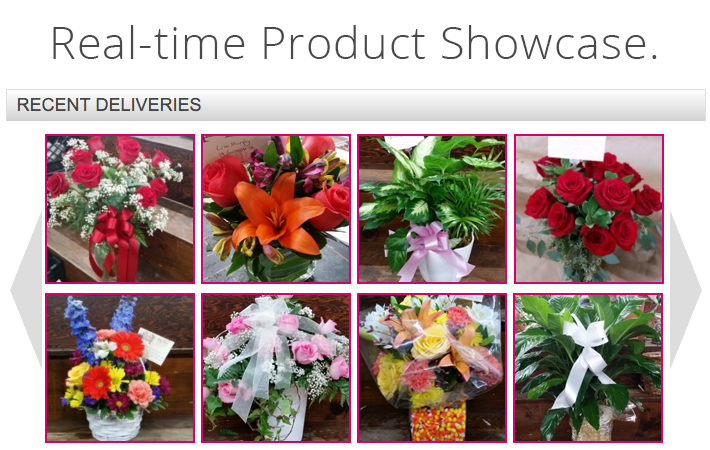 Plus you get optional sending & receiving of florist to florist orders. Everything your potential customers need to contact you! We list your name, address, local phone, toll free phone, fax number, plus a free link to your website, in your residential area PLUS up to 10 additional areas you service. An interactive Google map displays your location and allows customers to zoom in and out to see street names and directions. Customers can leave a review from your profile page. Added bonus: All reviews will also appear on your FSN website. Add links to all of your social media profiles. Facebook and Twitter feed boxes automatically show your latest posts right on your profile page! When you confirm deliveries with photos, they automatically show up on your FSN Profile. Bonus: With an FSN website, the photos click-thru to the page on your website where they can purchase that design. Get found on the map for your city on our FSN Hospitals & FSN Funeral Homes directories. Get found in your city when brides and party planners are looking for flowers. Check it out for yourself at WeddingandPartyNetwork.com. For members with FSN websites, listings are enhanced with a 'Buy Now' arrangement that links directly to your website!